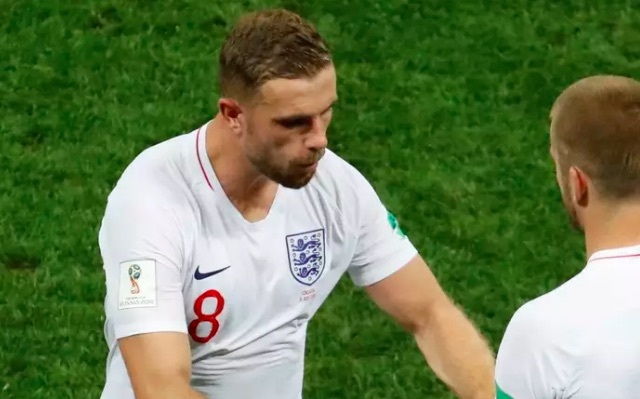 Jordan Henderson deserves inclusion into the World Cup team of the tournament, by our reckoning. Liverpool’s captain led England superbly, and although Harry Kane wore the armband, Henderson marshalled his troops, organised the side and was his country’s most vocal presence throughout. Against Croatia last night, England exited the tournament and missed the chance to play in Sunday’s final against France following an Extra Time defeat. Henderson became increasingly outnumbered in midfield as the match progressed and got little support in terms of an ability to maintain possession by Jesse Lingard or Dele Alli. He was replaced by Eric Dier after the hamstring injury he was already playing through became too painful. But every Liverpool fan and for the first time, every England fan, is extremely proud of his contribution. “This has been the greatest summer of my life with England. To play in a World Cup is so special,” he told the Standard. Henderson will return to Melwood as a midfielder of genuine international pedigree. He will battle Fabinho, Naby Keita and his old team-mates for minutes, but we’d be surprised if our skipper isn’t one of the first names on Klopp’s team-sheet.